Thanks to the MicroBot's integration with Amazon Alexa, you can control your MicroBots using voice commands. Read this guide to set up the integration. The Amazon Alexa app must be installed and your Alexa-enabled device (Amazon Echo, Echo Dot..) configured. Pair your MicroBot. 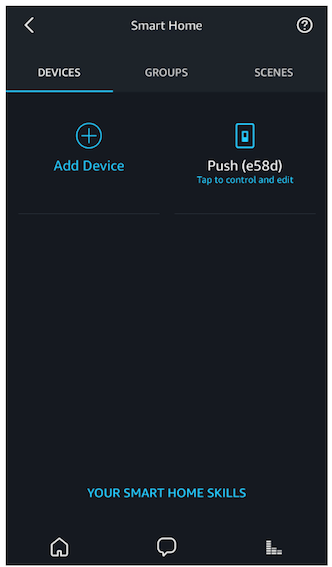 Download the MicroBot Push app, follow the instructions to pair it (see Pair MicroBot Push with your Smartphone) and make sure it is connected and working. Note: The skill 'MicroBot Push, the wireless robotic button pusher' is an outdated skill. Please ignore this skill and disable it if you had enabled it before. Enable the MicroBot skills. 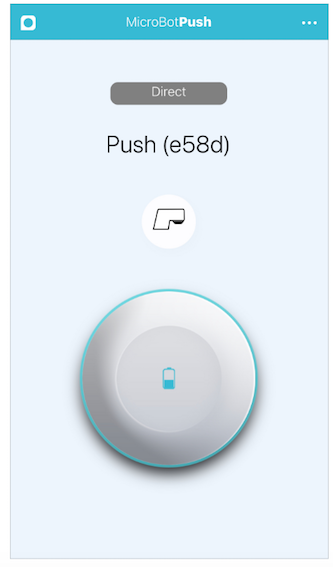 Select 'MicroBot, the tiny smart device for smart living', tap on 'ENABLE', and choose to open the page in Push app. Once the skill is successfully linked, tap on 'Done' at the top left corner. Repeat the same operation for the 'MicroBot for Smart Home' skill. Discover Devices. 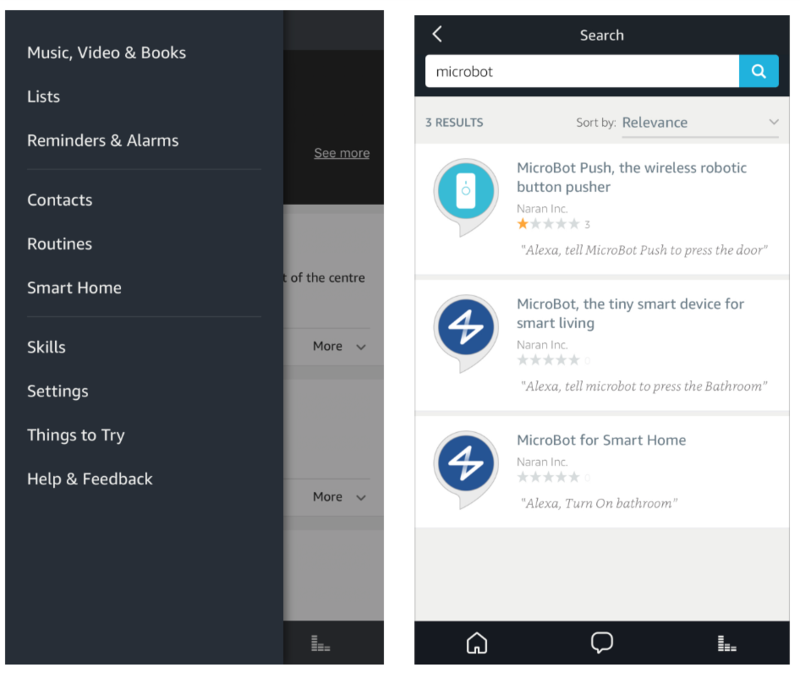 Once you've enabled the 'MicroBot for Smart Home' skill, tap on 'DISCOVER DEVICES' on the pop-up and wait until Alexa has completed searching for devices. 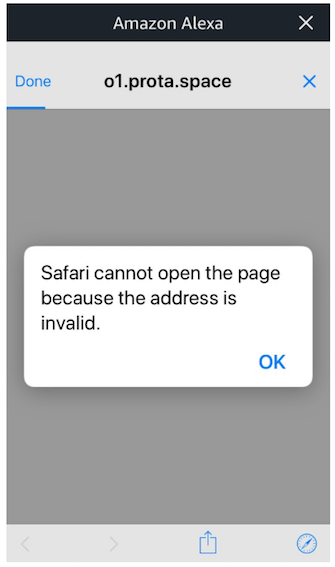 Note: There is another method to discover devices. 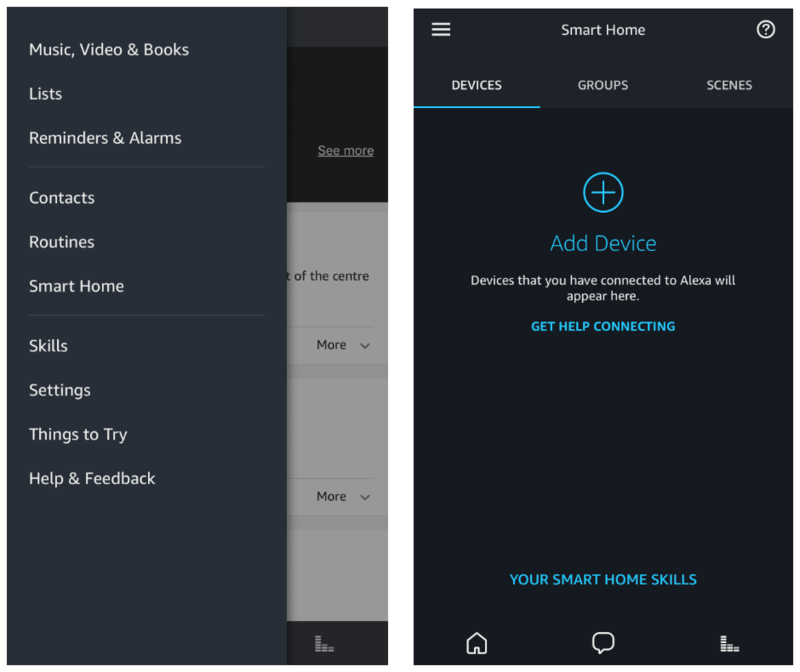 In the Alexa app's left-side menu, go to 'Smart Home' and select 'Add Device'. 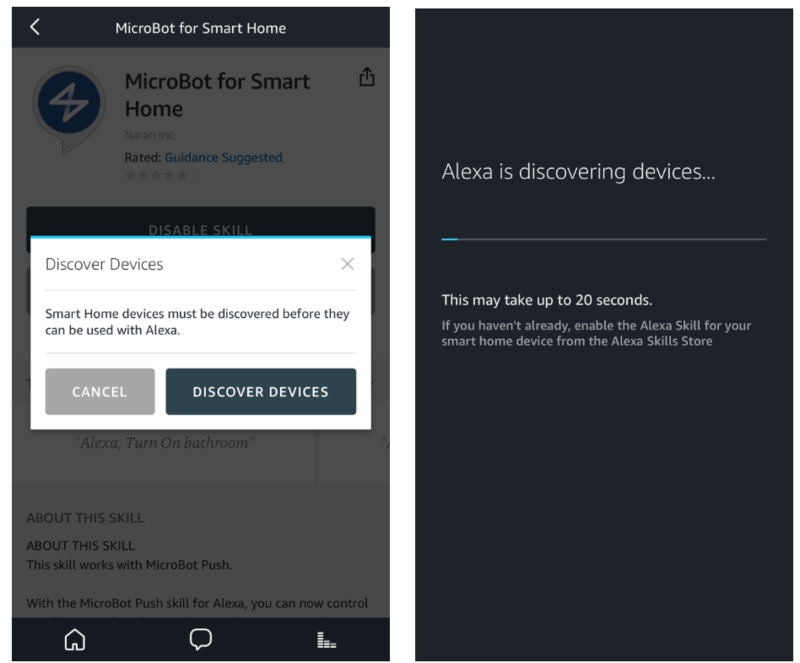 Once added, your MicroBot appears in Smart Home > Devices. Use your MicroBot Push with Alexa. 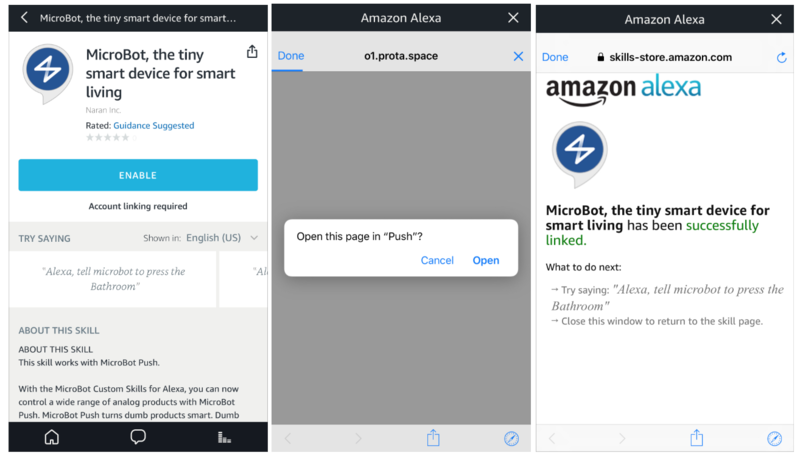 Make sure your MicroBot Push online and control your MicroBot Push using Alexa either by voice command or by pushing the button UI in the Alexa app. Note: To control your MicroBot Push with your voice conveniently, we recommend that you rename it. See Change the name and background. Make sure that the name of your MicroBot Push in the Alexa app is the same as its name in the MicroBot Push. You may need to refresh the Alexa app to synchronize the data.